To the rest of you... happy Valentine's day! ? Hot off the press, EXCLUSIVE never seen before pictures of the upcoming Life Insurance! Over the years there has been a constant discussion about whether or not Life Insurance should be brought back to the game. At some point last year, it was decided that Life Insurance should return and the decision was made through a community poll. In case you weren't around when this feature used to be a part of the game, it's basically a cash investment you make in return for being able to bring back some of your character stats after death. Since last year it has been towards the top of our priorities because of the good it can do for the game. We're hoping that it will encourage more players to continue playing the game into the round even after their first character dies, in addition to this we're hoping to see more deaths avenged thanks to the little boost in starting point that is available. 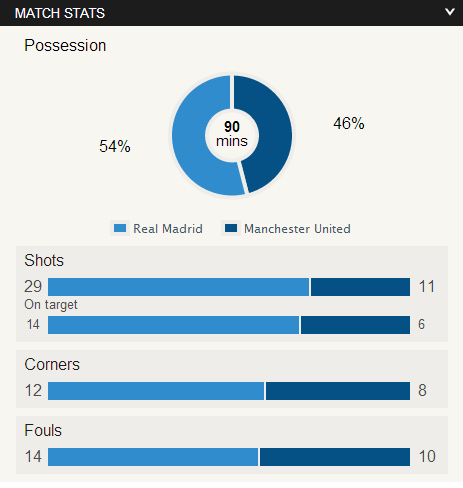 So, here is an initial preview of one of the pages for this feature. Please note that this may change a lot before the feature is made public. Rather than a percentage system as we used to use, you invest into a policy which will bring back 100% of your stats, up to a capped / maximum amount. So for most people this will ultimately mean that you will always lose some stats depending on the package chosen. 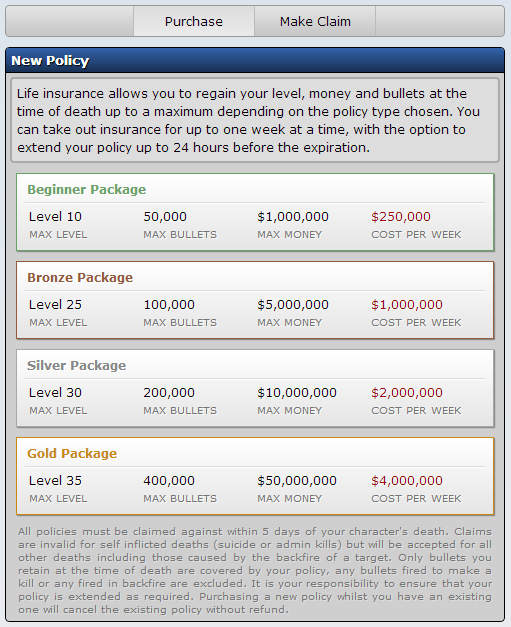 For example, if you invest into the Bronze package and die at level 30 with 60,000 bullets left (following any bullets fired during the shoot out) and $250,000.... then on your next character you can make a claim on your insurance policy and get a boost up to level 25 with 60,000 bullets and $250,000 cash. Please let me stress again that the current policy types are not necessarily permanent and may change before the feature is opened up. The weekly payment system we have means that you don't have to always have an insurance policy in place, you may for example just purchase a policy before making a kill or during a family war. This also means that you're at risk of losing everything for the entire time that you choose to go without insurance. Events will be sent out to remind you to extend your policy before the week is up, if you want to keep your insurance activated for an on-going period. So there you have it, the first special first time preview for The Times. It's going to make for an interesting next round with the new car system and garage, plus life insurance in place. Fox news' response: "He hates kids! Vote Romney 2015 ... WooHoo"
Barack Obama's response: "I did not snowball that kid." Congratulations to Storm who made it to level 50 on Day 75 ? Do you smile for pictures? Have you ever won a spelling bee? Would you rather go to the Sahara Desert or the North Pole? Would you rather be a carrot or a cucumber? 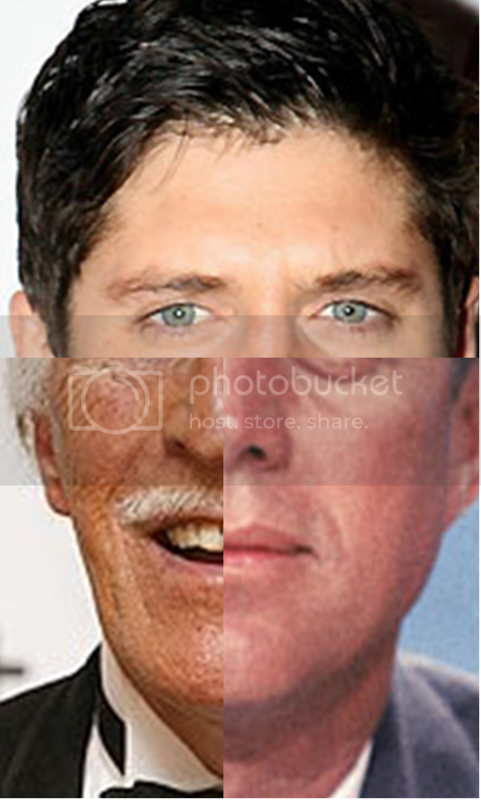 Here are 3 Famous people for you to guess. First to guess them all and you shall receive $2,000,000. Private message me the answers. Your clues are: Strictly, 60's K, Kay. Please rate this issue and vote Fish as editor, thanks ? This issue has been viewed by 68 players and rated by 13 players.